Bergen is Norway’s second largest city and the world’s only city surrounded by 7 mountains and 7 fjords. The city has the charm and atmosphere of a small town; you can walk practically everywhere in only 20 minutes and instead of tall buildings you will find wooden houses and narrow streets. Sights of interest in Bergen include the Hanseatic Bryggen Wharf, Fløibanen Funicular, the Fish Market, Gamle Bergen open air museum and more. 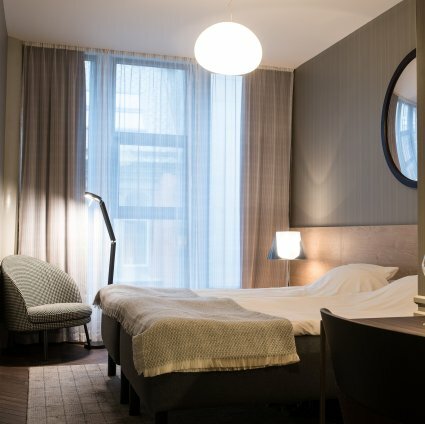 Our preferred category GOLD hotel in Bergen is Bergen Børs, which is located in the very heart of the city. If this hotel is fully booked we will find an alternative of equal standard (although the hotels might differ in style). Scandinavian breakfast buffet is included.